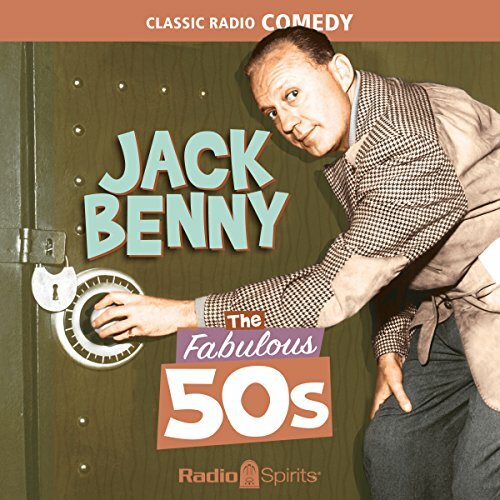 Episodes include: "To New York on the Train for the Heart Fund Benefit" 01-29-50; "Jack Tries to Buy Tickets to the USC-UCLA Game" 11-26-50; Guest: Douglas Fairbanks Jr. 01-28-51; "Jack Goes to the Dentist" 03-04-51; "Jack Catches His Nose in a Gopher Trap" 10-12-52; "Jack Buys Twentieth Century Fox" 10-19-52; "High Noon" 02-01-53; "The Beavers Impersonate the Show" 02-22-53; "Bob Borrows Five Hundred Dollars from Jack" 04-19-53; "Four a.m. Walk" 11-01-53; "Jack Prepares for His TV Show" 11-15-53; "Jack Talks About His TV Show" 12-06-53; "Jack at the Train Station" 02-21-54; "Dennis Wants to Join the Air Force" 04-04-54; "Jack Loses $4.75 at the Race Track" 05-02-54; "Dinner at Don's House" 11-14-54; "Jack Has a Cold He Caught at Don's House" 11-21-54; "Television Wrestling" 02-27-55; "Bob Hope and Jack Double Date" 04-17-55; "Renting the Maxwell to a Movie Studio" 04-24-55. ©2016 Trust "C" Under Will of Jack Benny, under license from Trust "C" under Will of Jack Benny. All rights reserved. (P)2016 RSPT, LLC. All Rights Reserved.